Make everyone in your group happy with comfortable and affordable group accommodations at McMinnville Inn. 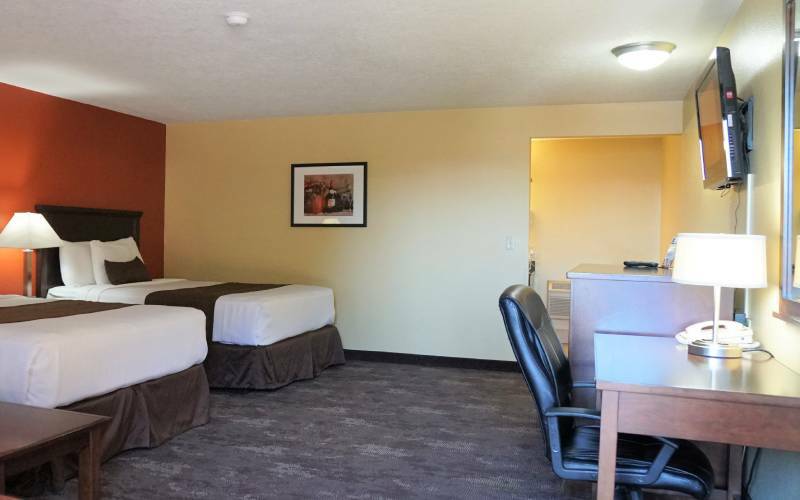 Whether you are planning a group tour of the local wineries or need accommodations for your church group or sports team, you'll find some of the best deals for group rooms at our hotel. In addition to our welcoming accommodations and generous amenities, our great location makes it easy for everyone in your group to enjoy all that McMinnville has to offer. Contact us to learn more about special rates for group reservations.